It Facebook is the 800lb gorilla in the online world. With 1.44 billion active monthly users (as of April 2015), a company can't afford to ignore the audience. An insurance companies facebook page is a great place to get a general feel of what the public thinks of the company. It will provide you with a condensed view of a company that should be much easier to navigate than an insurance company web site. The following is a curated list of insurance companies using Facebook (these are insurance companies, not agents or brokers). The list below links directly to the insurance company profile on Facebook. If you have a company to add, please feel free to contact us directly. Include "facebook link" in the subject line. Our Facebook list of companies was last updated 5/07/2015. This is a sampling of the companies utiliizing a presense on Facebook. To find more than 400 companies and all of their details for Facebook, LinkedIn and Twitter, locate your company in our Insurance Company Directory. 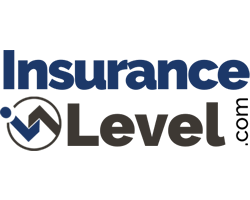 If you are an insurance company that would like to update your profile with InsuranceLevel.com, please contact us. We would be happy to include your information along with further profile information on our insurance company detail page. If you are an insurance agent or broker looking to update an individual listing, or agent profile page, please claim your agency profile and update your information via the forms in your administration section.